Windy City Mechanical, Inc. is proud to serve the Bucktown community! About Bucktown, IL - Happy to be your hometown Heating & Air Conditioning Contractor! Bucktown is a Chicago area community that is located east of the Logan Square neighborhood. It is situated northwest of the Loop and north of Wicker Park. This neighborhood has been named after the large quantity of goats that were raised here throughout the 19th century when the community was a major part of the city’s famous Polish Downtown. Originally known as Kozie Prery or Goat Prairie, the boundaries of the neighborhood are Western Ave. to the west, Fullerton Avenue to the north, Bloomindale to the south, and the Kennedy Expressway. Bucktown residents and visitors will have a variety of things to see or do in this community. 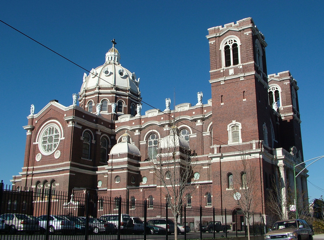 There are several historical sites that shouldn’t be missed, including the beautiful St. Mary of the Angels cathedral, which was originally established in 1897. The Bucktown neighborhood is a popular shopping destination, with unique specialty shops including Cat and Mouse Game Store, BFF Bikes, Marine Layer, and Apartment Number 9. Outdoor recreation is also a possibility in the neighborhood at Holstein Park, which includes a splash pad, swimming pool, playground, and basketball courts. Winters in Bucktown tend to be variable, with seasonal snowfall ranging from as low as ten inches to nearly 90 inches. However, average snowfall levels tend to reach about 36 inches, and high temperatures average in the low-30s. Every few year the city will experience a heavy or severe snowstorm in which residents are stuck indoors, and during these times, a reliable furnace system is a necessity. Spring and autumn months in Bucktown tend to be cool and comfortable, but the summer months are extremely humid. Average temperatures range from the high-70s to the mid-90s, and the season is both the rainiest and sunniest of the seasons in Bucktown. In order to stay comfortable regardless of the weather conditions, Bucktown area residents are smart to invest in a reliable and energy-efficient air conditioning unit.